Non-marital property may become marital property under certain circumstances such as placing record ownership in both names or commingling financial assets with marital assets. Sometimes, when marital funds or labor are used to improve non-marital property, the increase in value can be marital property. Pension or retirement funds, whether they are vested or not, can be marital property to the extent they accrue during the marriage. The same can be said for assets held by nonparty corporations, limited liability companies, and partnerships because assets owned by these entities are third-party property that cannot be divided upon divorce generally unless the entities are joined as a party to the dissolution proceedings. See Ehman v. Ehman, 156 So.3d 7 (Fla. 2nd DCA 2014). Just because a spouse may have used non-marital partnership or corporate assets for marital purposes does not convert the remaining partnership or corporate assets into marital assets. See Lassett v. Lassett, 768 So.2d 472 (Fla. 2nd DCA 2000). The company would have to be pled as a party in the divorce action and served by proper service of process to divide property held by a corporation, etc. To assist you in asset protection and navigating equitable distribution in divorce, you need an experienced Jacksonville family attorney to assist you. 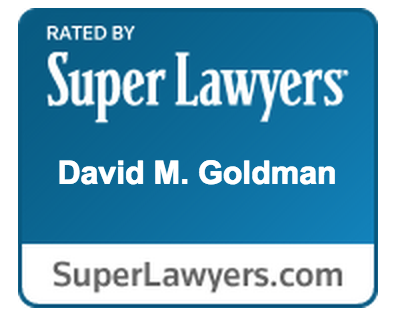 Please call the Law Office of David M. Goldman, PLLC for a consultation.